I think that this Ice cream is very rich and sweet but it’s good for a some times treat. I like the chocolate core because it tastes like Nutella spread. The ice cream is good but I wouldn’t buy this all the time. This flavour is really quite nice but not as good as the other Ben and Jerry’s flavours. Not as rich and not really my type of flavour combo. 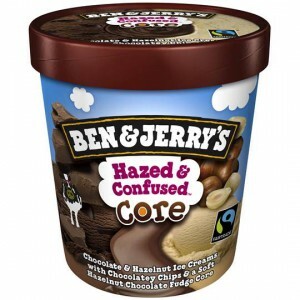 How would you rate Ben & Jerry’s Ice Cream Hazed And Confused?